Just like Jesus once emerged from his tomb, now his tomb has been ‘resurrected’. After nine months of thorough renovations, the site is open to the public. It opens just in time for the annual celebrations of Jesus’s death and resurrection. Although the mystery remains, billions of Christians visit the site every year. Especially now that Easter is approaching, the monument becomes priceless for the believers. They pay their respect towards God’s son, who saved us by his sacrifice. Whether you share the same religion or not, the sight is one to behold. Somehow everyone becomes humble nearby, the tomb has a supernatural feel to it. It was feared to be a victim of decay. Nine months ago, the repairs started. A team of specialists and masons worked tirelessly to restore its original beauty. They even had religious folks in mind, as they worked at night, when they wouldn’t disrupt prayers. The project was overseen by WMF (World Monuments Fund). “This is the first time in modern memory that we have removed the marble from the tomb and are able to look down and investigate the original rock that, according to Christian tradition, the body of Jesus Christ was laid out on” Kristin Romey, archeology writer at National Geographic said. Now, after so many years, the monument got some titanium joints. It is as good as new (we hope), or might even be better. Hopefully the site will remain intact for many more centuries to come. It is powerful, sacred and a religious heritage that should be preserved for future generations. The repair cost $3.72. However, it isn’t over yet. In order to keep the tomb safe and secure in the long run, further works will be carried out. Let’s ask the cards to see whether this will provide the desired effect. 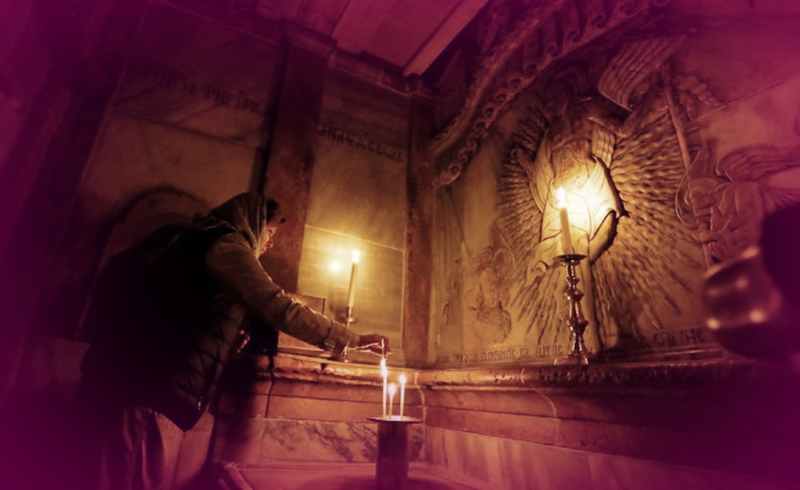 Jesus’s Tomb represents an escape for people, a religious shelter of sorts. However, some only visit in sheer desperation, when all else fails. The spiritual journey is about way more than that though. Although there is still a long way to go, there is always time to stop and appreciate what you achieved. Considerable progress has been made in terms of the monument’s restoration. The goal is clear, and this card is a very good omen. The breakthrough moment will be followed by many others. The archaeologists will find new ways to enhance and extend the lifetime of the tomb.